COMING SOON! JUST IN TIME FOR SUMMER! Weight-loss = “Move more and eat less”. At PFT, we have you completely covered with the “move more” part, done in the most effective way possible. 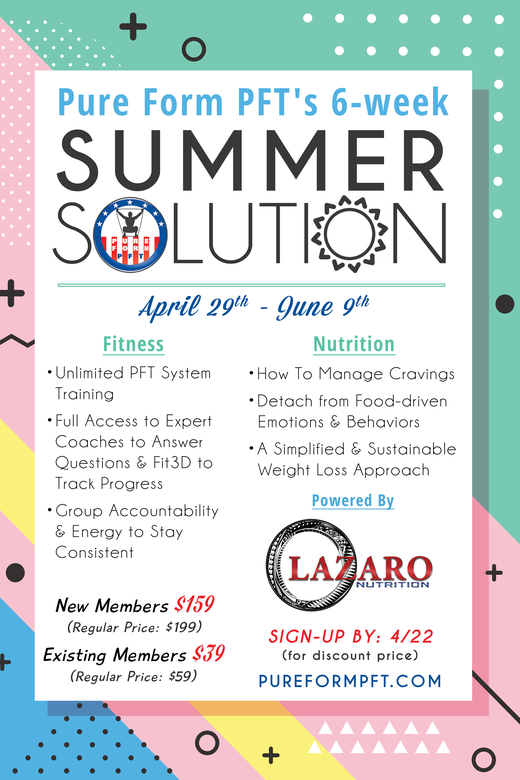 To tackle the nutritional side of things, we partnered with a leading expert in the field, LAZARO NUTRITION to provide our most comprehensive dietary strategies to date. Leave a 👍🏻 or send me a private message, if you are interested.